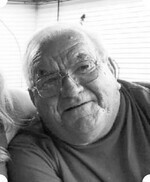 Fort Fairfield – August E. Harvey, 76, passed away Thursday afternoon, February 7, 2019 at a Presque Isle healthcare facility, following a brief illness. He was born January 9, 1943 in St. Francis, the son of Albert and Elizabeth (Soucy) Harvey. He attended St. Francis and Fort Fairfield schools and was employed in the potato farming industry for most of his life, mostly with Stone Farms and later with Cloverdale Farms in Fort Fairfield. He also worked for the Fort Fairfield Highway Department during the 1970’s and early 1980’s, and retired from the United States Postal Service in 2001. August served on the Fort Fairfield Volunteer Fire Department and enjoyed spending time with his family, especially his grandchildren during their many sporting events. He loved to maintain an impeccable lawn and will be remembered as the family “Worry Wart”. In addition to his parents, August was predeceased by his first wife, Elizabeth Marie (Green) Harvey and his second wife Jackie (Chapman) Harvey; one son-in-law, Mark Day; three brothers, Leon, Joseph and Ronaldo Harvey; seven sisters, Louise Ouellette, Cesaire Dubois, Bernadette Dubois, Lenore Dubois, Liza Pisarski, Mary Jane Michaud and Evangeline O’Neal. He is survived by two sons, Samuel A. Harvey and his wife Linda of Limestone, Brad J. Harvey and fiancé Samantha Doody of Fort Fairfield; one daughter, Vickie Day and her husband Brian Chapla of Fort Fairfield; six grandchildren, Elizabeth Day and her fiancé Dirk Dijkstra of Berlikum, Netherlands, Jared Harvey of Fort Fairfield, Jason and Alex Sprague, both of Limestone, Jonathan Doody II and Brianna Doody, both of Fort Fairfield; numerous nieces and nephews.